A solo show titled M*A*S*H*E*D, featuring a new body of work by the Scottish artist War Boutique, will open at London’s Lawrence Alkin Gallery in September. Using original military armour, weaponry and bullet-proof textiles, War Boutique’s work conveys strong anti-warmessages, exposing the interface between the civil and military spheres, and playing on the parallels between the uniforms of war and mainstream fashion trends. M*A*S*H*E*D will feature more than 20 mixed-media pieces by War Boutique, spanning over a decade of his practice, and including his signature bulletproof vests, riot shields and batons. 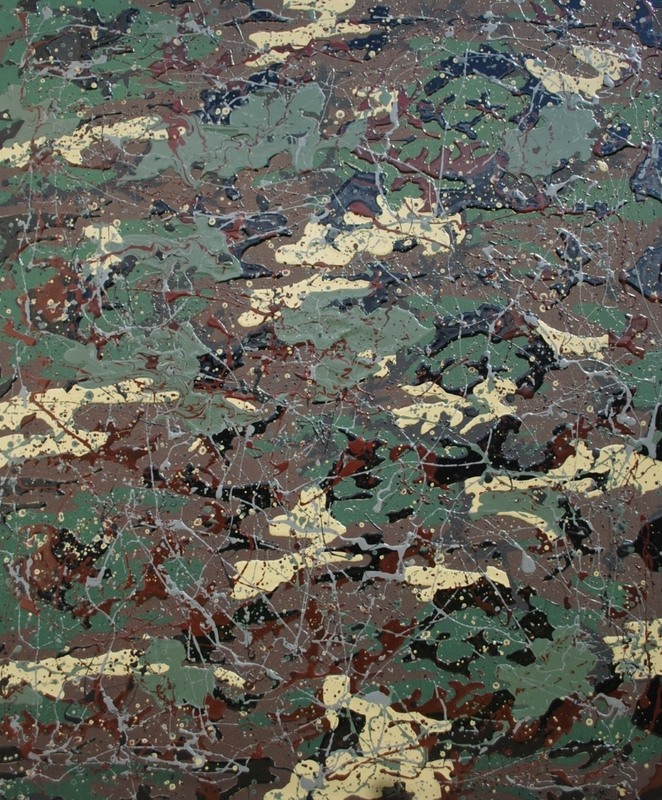 The show will debut his new “Camouflage” series of large-scale oil paintings on military textiles. These hypnotic camouflage canvases contain provocative references to the abstract expressionist movement, the founding of the New York School and its initial promotion to the art world through a covert CIA program. The exhibition will also feature never-before-seen works from his new ‘Blast’ and ‘Shot-At’ series - with poignant echoes of the Action Art movement. The ‘Shot-At’ works are huge reflective metal shields contoured by the impact of 9mm rounds on a firing range. 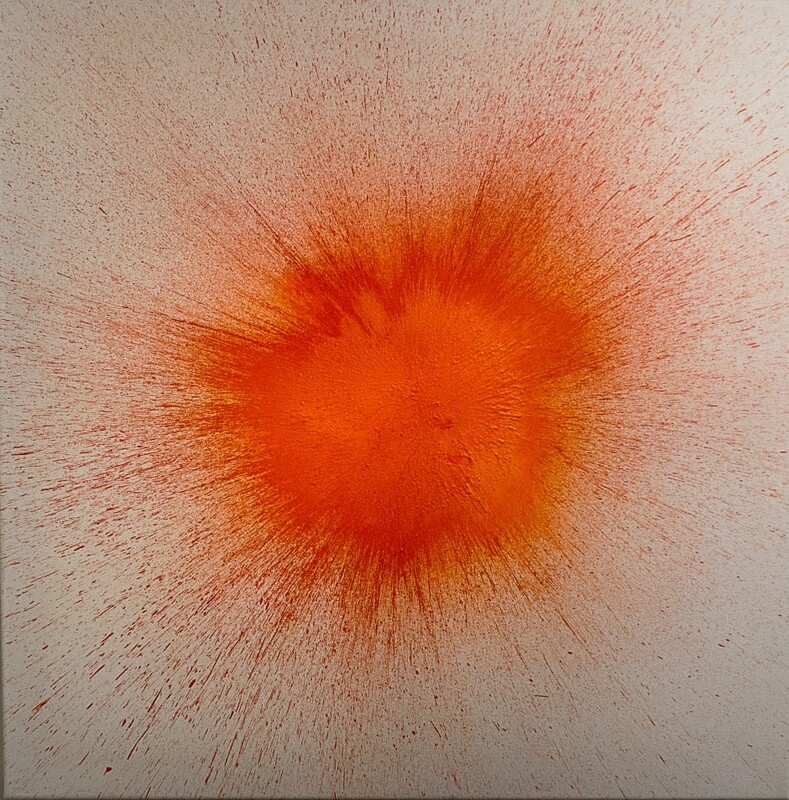 The ‘Blast’ paintings have been created by shooting canvases with paint-filled plastic bullets modelled on police baton rounds. 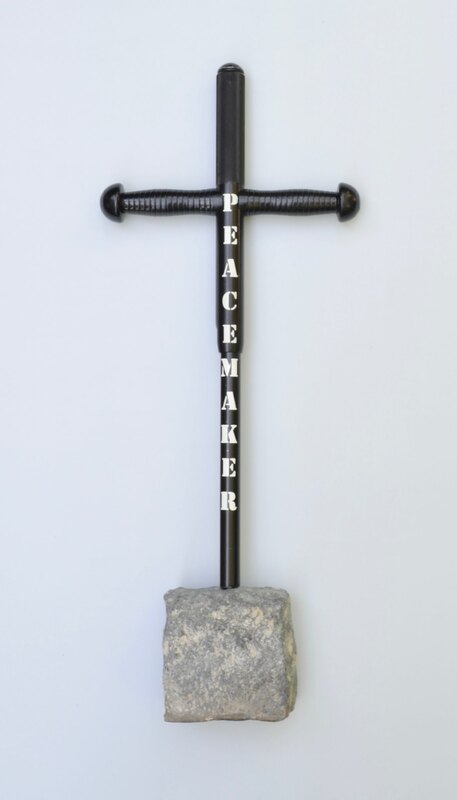 War Boutique commented: “With these new works I wanted to physically manifest some of the real force and impact of modern-day weaponry, and perhaps invoke our collective responsibility and choices around the use and development of such forces”. A key piece within the show is ‘Big Game’, a multi-layered textile artwork exploring the history and complexity of the conflict in Afghanistan. The title is taken from the term used to describe the strategic rivalry between Britain and Russia over trade routes through Afghanistan during the 19th century. The military fabrics that make up the letters are a chronological history of combat uniforms worn by British soldiers during the Afghan wars from 1839 to the present day. This striking work is part of War Boutique’s “The Great Game” series, the first of which was acquired by the National Army Museum for its permanent collection in 2014. 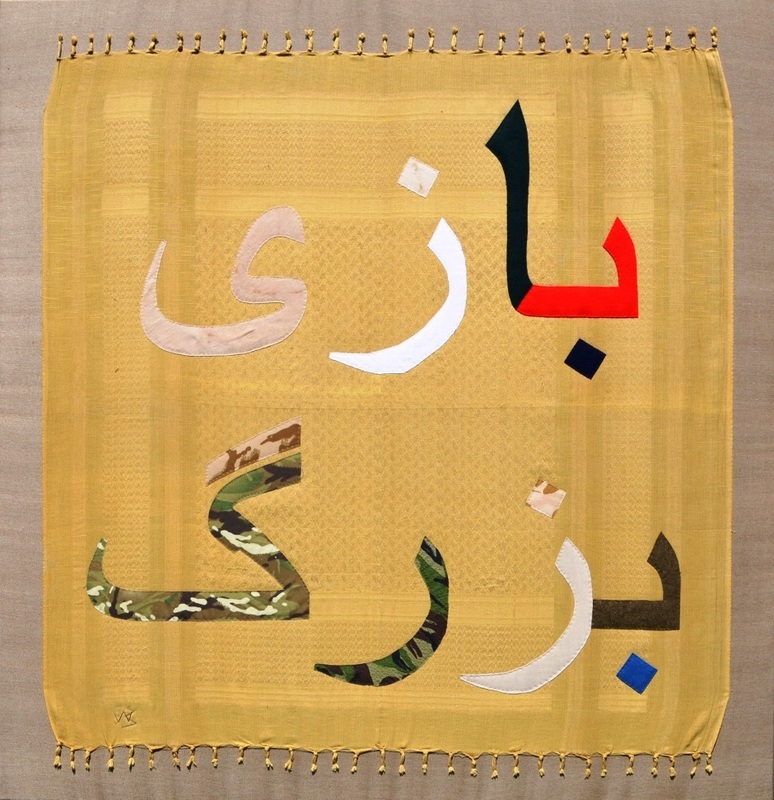 The Afghan Farsi version - ‘Big Game’ - was first shown at the Dresden Museum as part of the international touring exhibition ‘Caught in the Crossfire’, but M*A*S*H*E*D will be the first time this work has been shown in the UK. 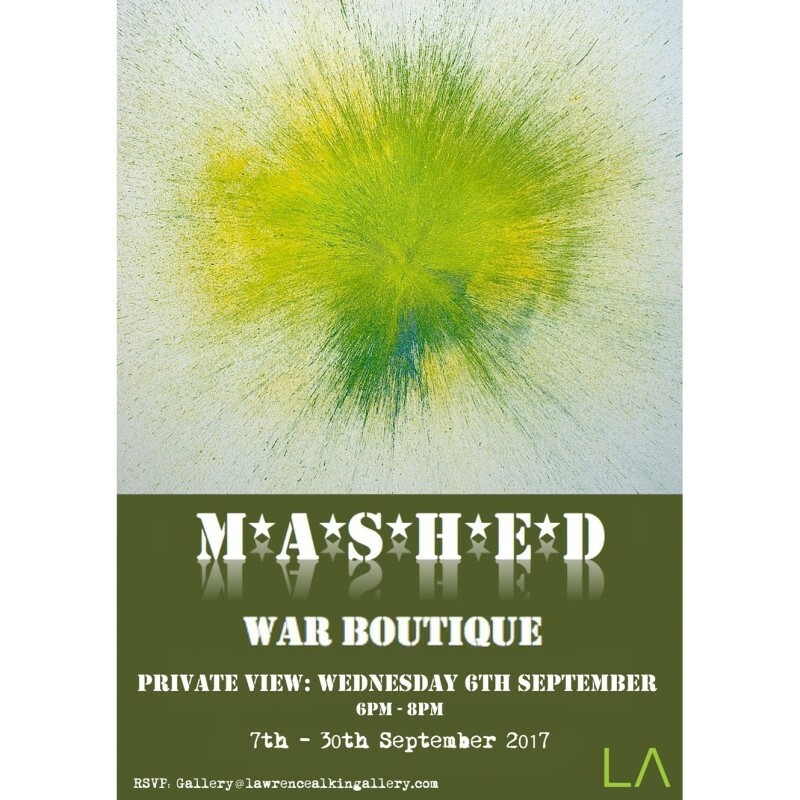 At Lawrence Alkin Gallery M*A*S*H*E*D will be split over two floors, with the top floor focusing on ‘military’ themed works, and a ‘civil defence’ theme downstairs, with more playful works in War Boutique’s signature style. 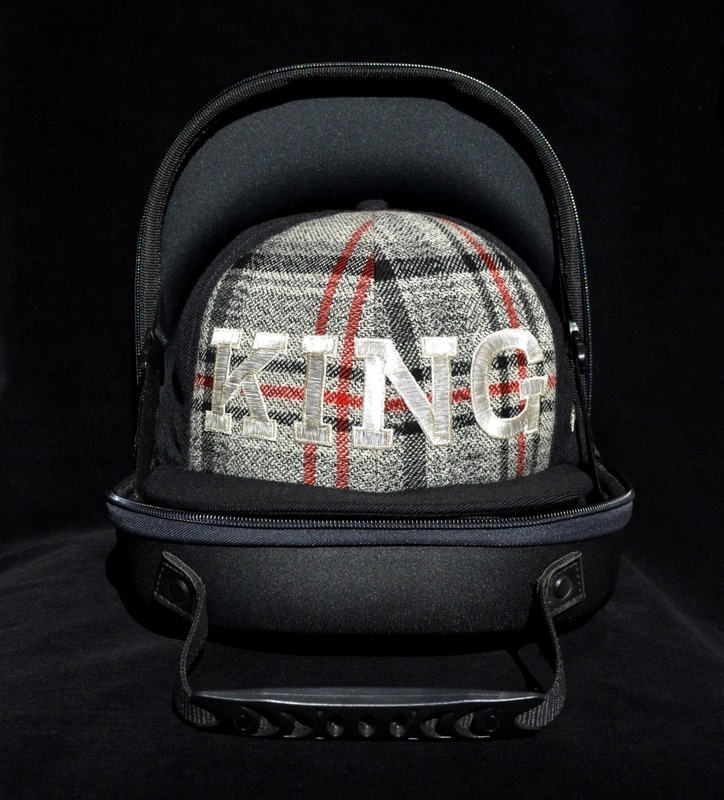 These will include some of his ‘wearable’ artworks, alongside his ‘Proscription Cap’ in royal tartan, which can only legally be worn with permission from the ruling British monarch. War Boutique was born in Glasgow in 1965 where he began working in theatrical costume and fashion design. He went on to attend The Scottish College of Textiles, Edinburgh where he developed skills in knitting, weaving, sewing, embroidery, textile technology and the design of prints and pattern-making. He obtained a BSc. (Hons) in Textiles and Fashion Design and went on to compete a Masters in Fine Art at Goldsmiths College in London in 2009. 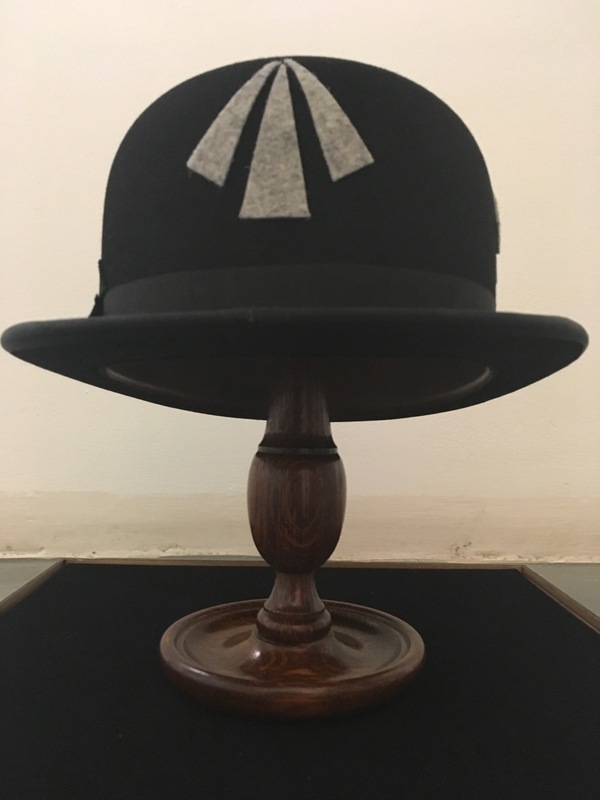 Alongside his art practice, his early career involved designing defensive equipment and body armour for national armies and police units. 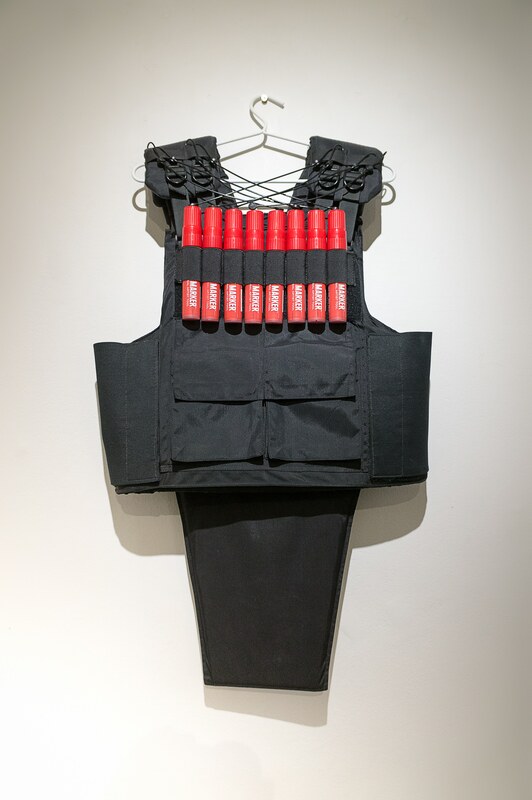 Following the invasion of Iraq in 2003 he gave this up, and began incorporating the flak jackets, stab vests and ballistic military materials from this earlier experience into his art practice. His work has been exhibited at museums, galleries and art festivals across Europe and the US, including the Courtauld Institute, British Museum, Tate Modern, National Army Museum, Somerset House, Royal Geographical Society, Society for Contemporary Craft, Herbert Museum, Soho House and Dresden City Museum. His participatory work has involved workshops, exhibitions and fashion shows, in conjunction with local and national organisations such as the Peace Not War Festival, Save The Children, Southwark Youth and Connexions, and the Damilola Taylor Trust.